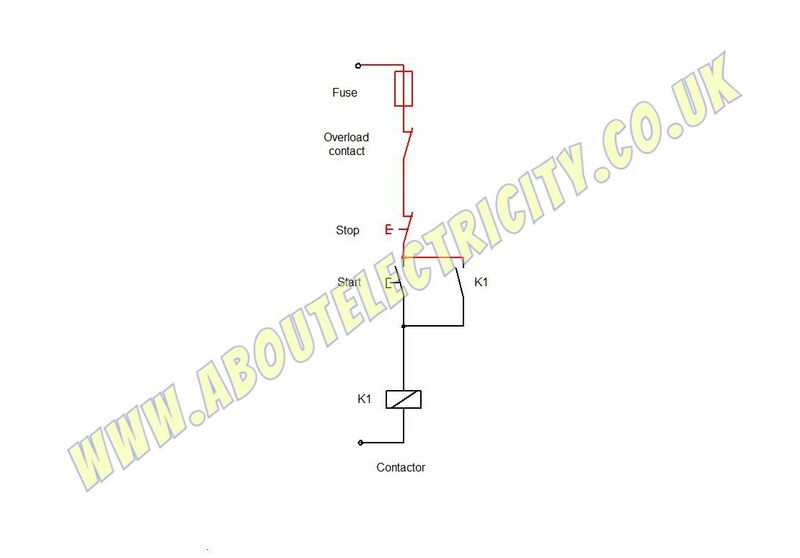 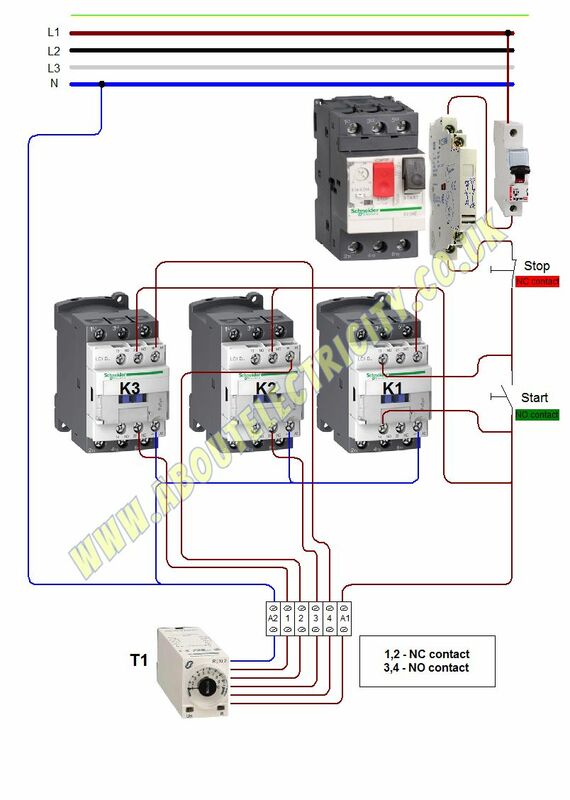 Direct On Line starter with overload relay – contactor wiring. 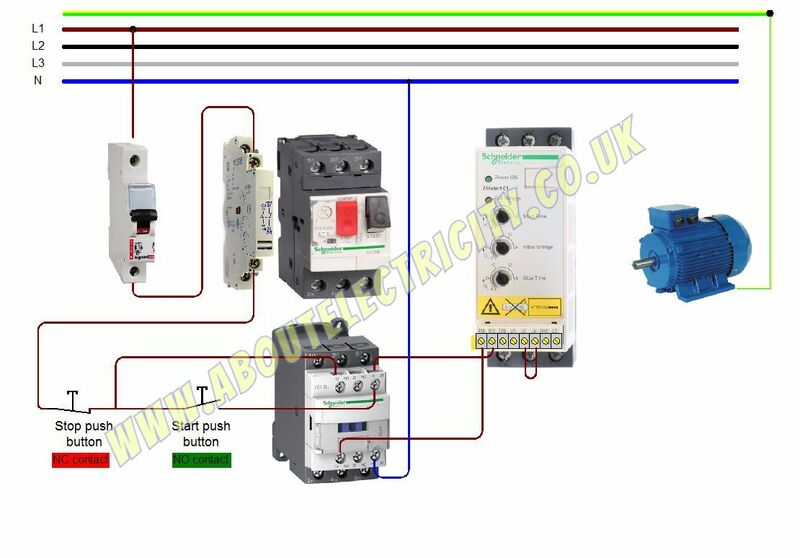 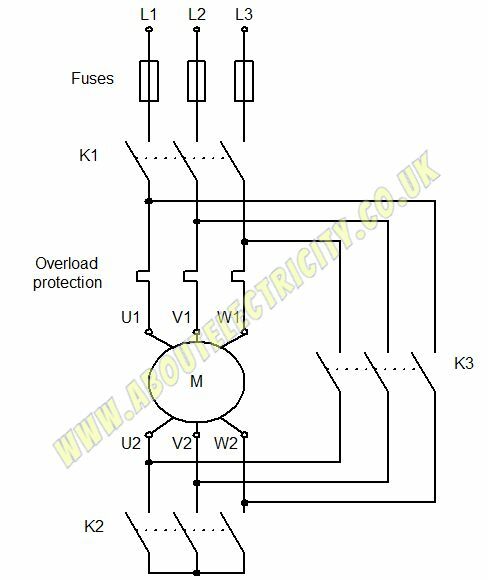 Direct On Line starter with motor protection relay – contactor wiring. 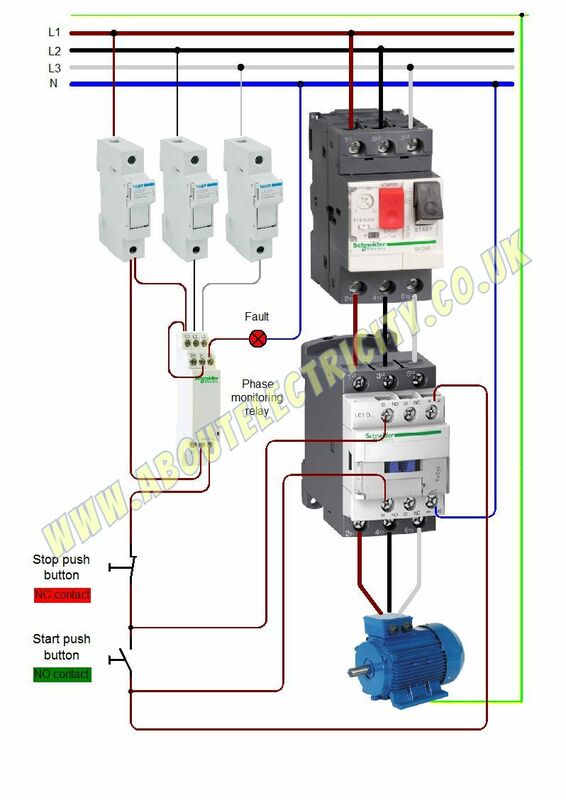 Direct On Line starter control wiring. 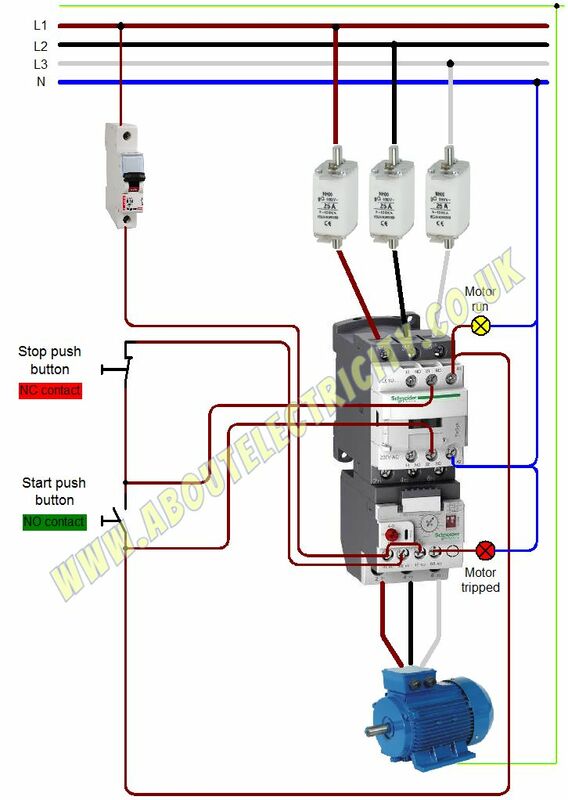 Direct On Line starter wiring with remote start and stop buttons. 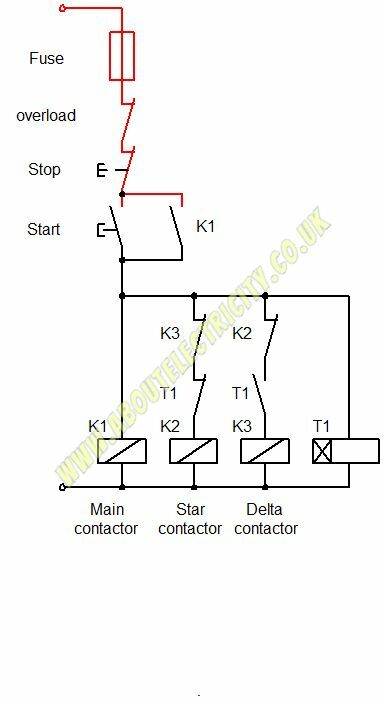 Star-delta starter control circuit diagram. 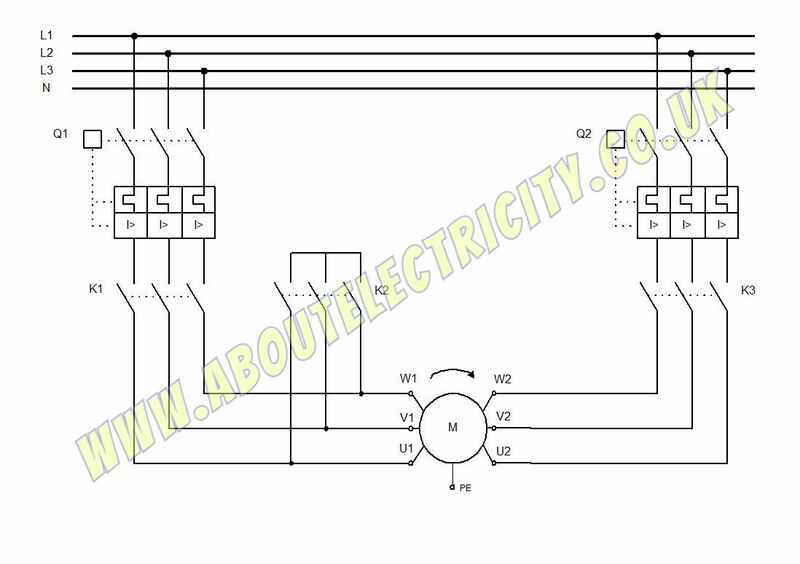 Star-delta starter power circuit wiring. 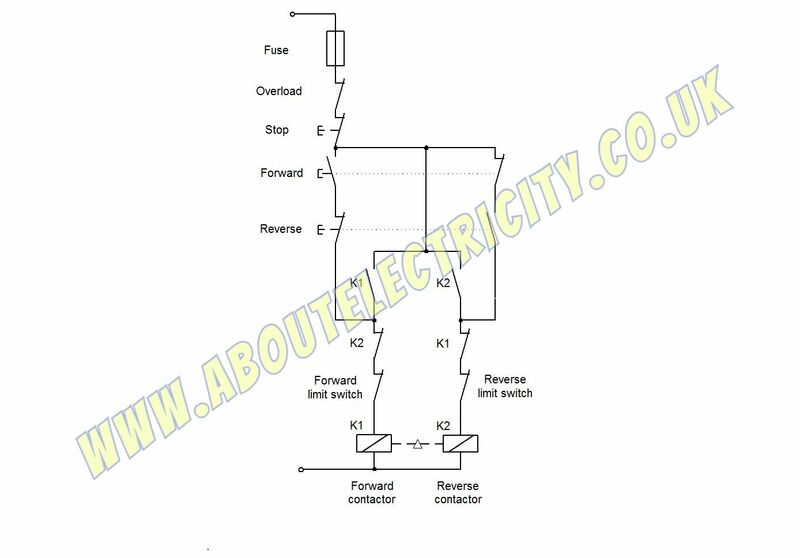 Forward – Reverse motor control. 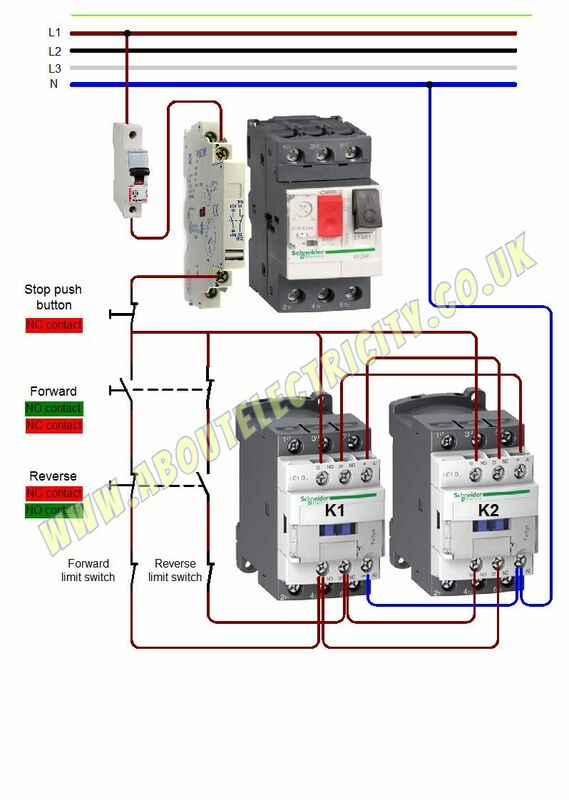 Wiring contactor and Phase Failure Relay. 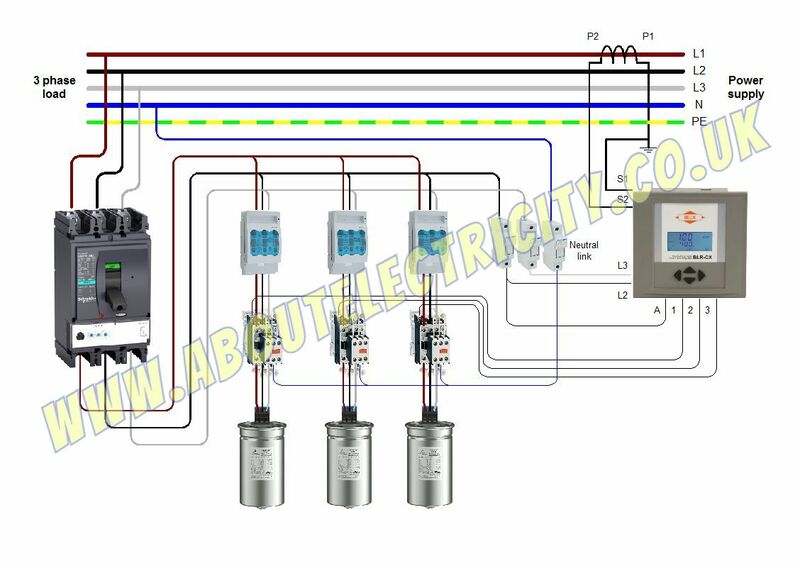 2 speed motor control wiring. 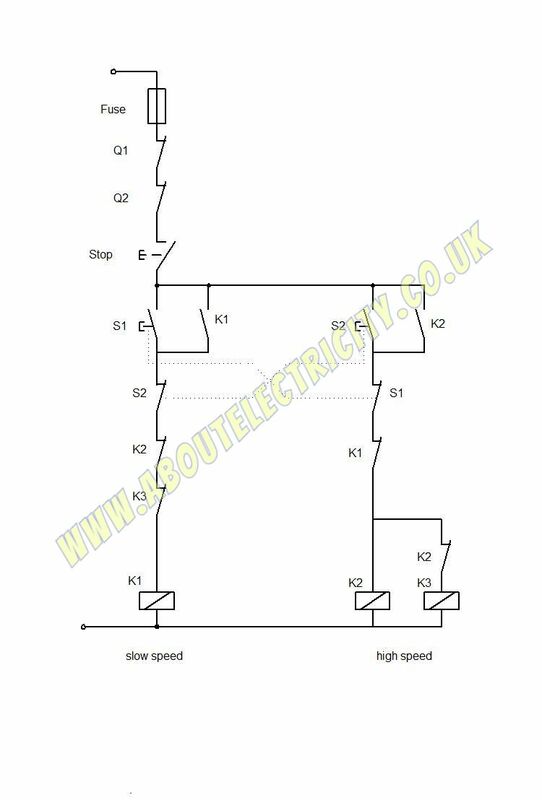 2 speed motor power wiring. 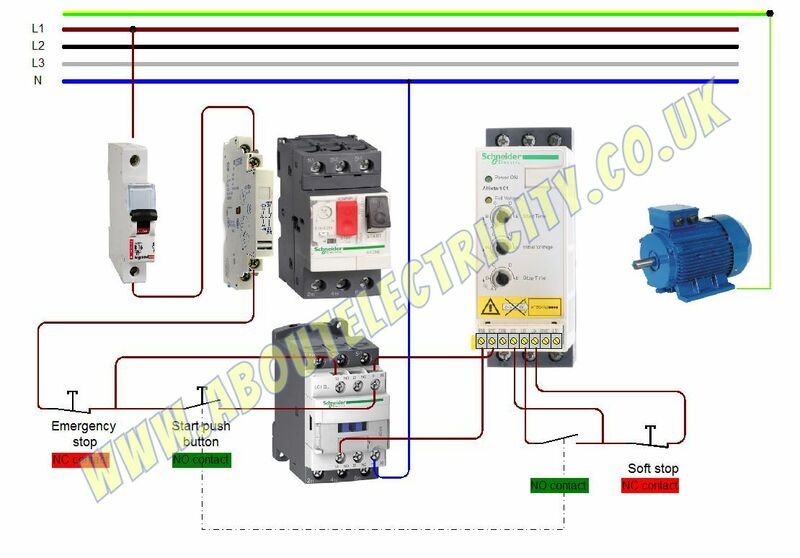 Soft starter wiring – soft start/soft stop. 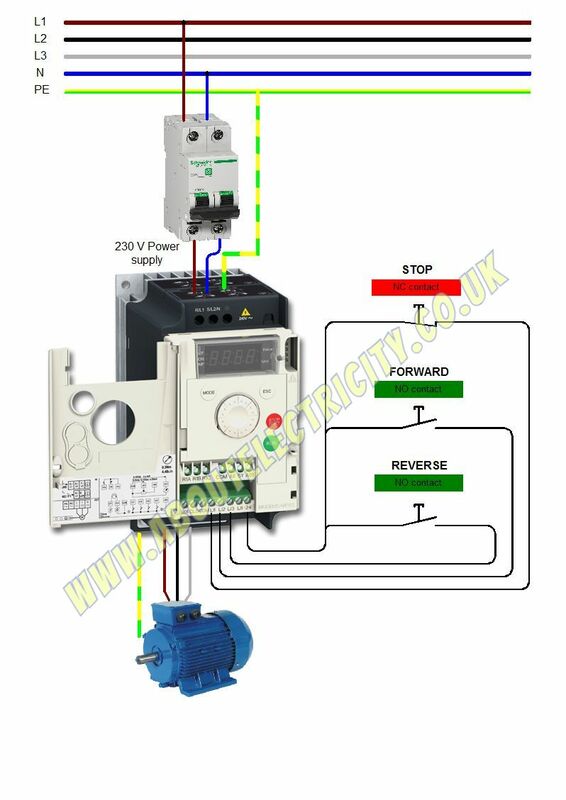 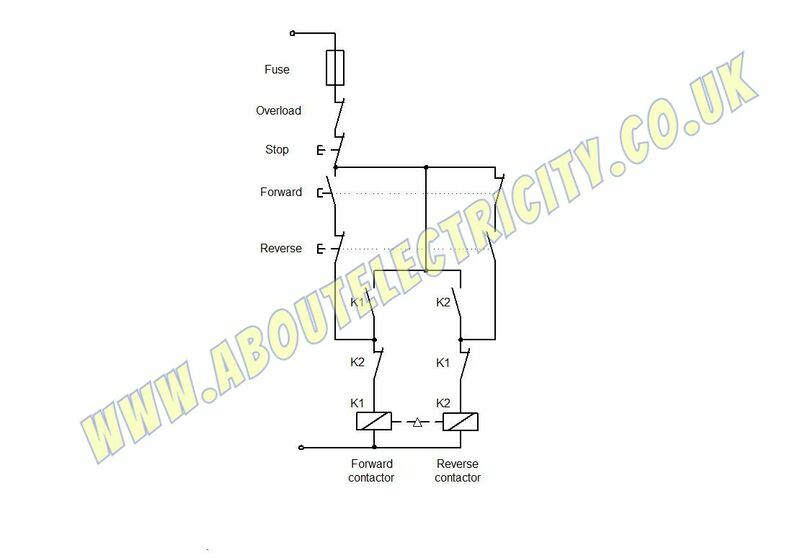 Wiring Variable Frequency Drive – 2 wire control. 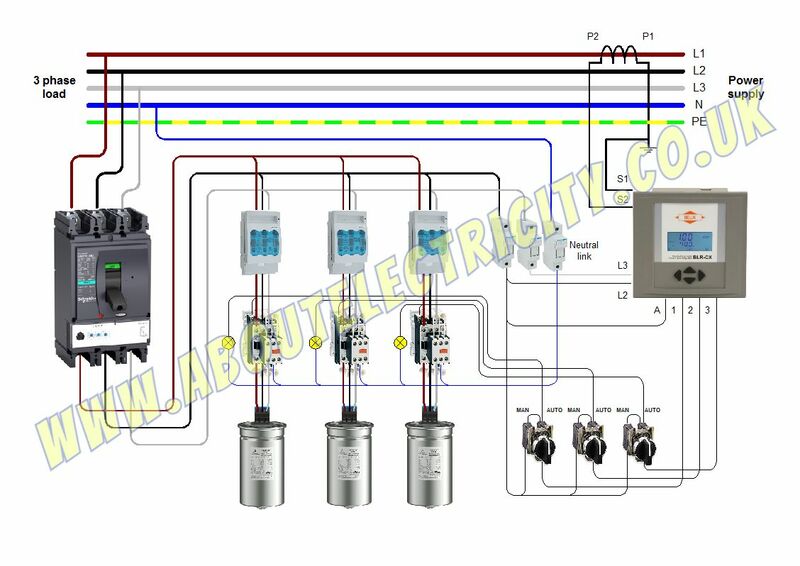 Wiring Variable Frequency Drive – 3 wire control. 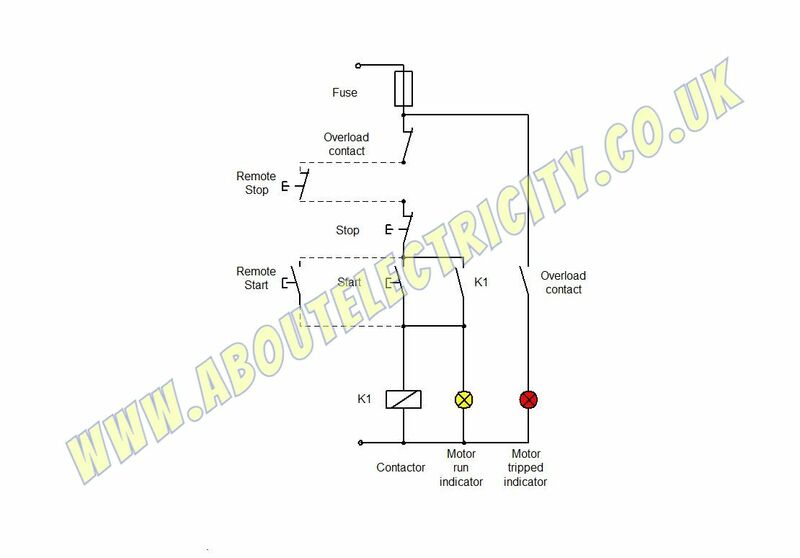 Power factor correction with stage indicators and auto-manual switches.